Our range of products include aramco duplex stainless steel scrap, duplex steel tube and duplex steel bar. 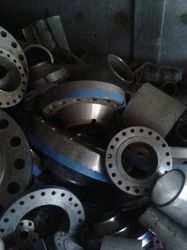 Backed by a team of highly experience and expert professionals, we have been able to provide a wide range of quality assured Duplex Stainless Steel Scrap. Manufactured using optimum quality raw material and progressive technology, this steel scrap is in sync with industry norms. Being client centric organization, this steel scrap is tested on different quality parameters. To cater the demands of our customers, we offer this scrap in variegated specifications. 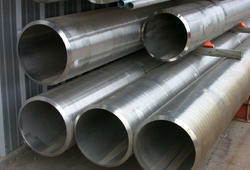 Backed by a team of skilled professionals, we are highly engaged in offering quality assured Duplex Steel. The offered product is available in various specifications as per the demands of our clients. This product is used in industries, particularly the oil and gas, petrochemical, pulp and paper industries. Our offer range is manufactured by our vendors utilizing quality approved raw material and advanced technology. Looking for Duplex Stainless Steel Scrap ?